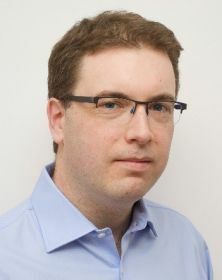 School of Health Sciences welcomes Dr Pearse Keane a consultant ophthalmologist at Moorfields Eye Hospital, London and an NIHR Clinician Scientist, based at the Institute of Ophthalmology, University College London to City, University of London to discuss his work on artificial intelligence in ophthalmology. Ophthalmology is among the most technology-driven of all the medical specialties, with treatments utilizing high-spec medical lasers and advanced microsurgical techniques, and diagnostics involving ultra-high resolution imaging. Ophthalmology is also at the forefront of many trailblazing research areas in healthcare, such as stem cell and gene therapies. Moorfields Eye Hospital in London is the oldest eye hospital in the world. Every year, >700,000 patients attend Moorfields - more than double the number of the largest eye hospitals in North America. Together with the adjacent UCL Institute of Ophthalmology, Moorfields is among the largest centres for vision science research in the world. In July 2016, Moorfields announced a formal collaboration and data sharing agreement with DeepMind Health. This collaboration involves the sharing of >1,000,000 anonymised retinal scans with DeepMind to allow for the automated diagnosis of diseases such as age-related macular degeneration (AMD) and diabetic retinopathy (DR). The presentation will describe the motivation - and urgent need - to apply deep learning to ophthalmology, the processes required to establish a research collaboration between the NHS and a company like DeepMind, the goals of our research, and finally, why ophthalmology could be first branch of medicine to be fundamentally reinvented through the application of deep learning. Dr Keane specialises in applied ophthalmic research, with a particular interest in retinal imaging. He joined Moorfields in 2010; prior to this, he carried out optical coherence tomography (OCT) research with Srinivas Sadda and Alex Walsh at the Doheny Eye Institute, Los Angeles. He is originally from Ireland and received his medical degree from University College Dublin (UCD). In January 2015, he was awarded a prestigious "Clinician Scientist” award from the National Institute of Health Research (NIHR) in the United Kingdom (UK) - the first ophthalmologist in the UK to receive such an award. His remit from this award is to explore the potential of new medical technologies and innovation in ophthalmology, ranging from advanced imaging to artificial intelligence to virtual and augmented realities. In April 2015, he was ranked no. 4 on a worldwide ranking of ophthalmologists under 40, published in "the Ophthalmologist” journal. In 2016, he initiated a formal collaboration between Moorfields Eye Hospital and Google DeepMind, with the aim of applying machine learning to automated diagnosis of optical coherence tomography (OCT) images.